We focus on the research and development of deterministic devices for the generation and manipulation of single photons for applications in the field of quantum information technology. 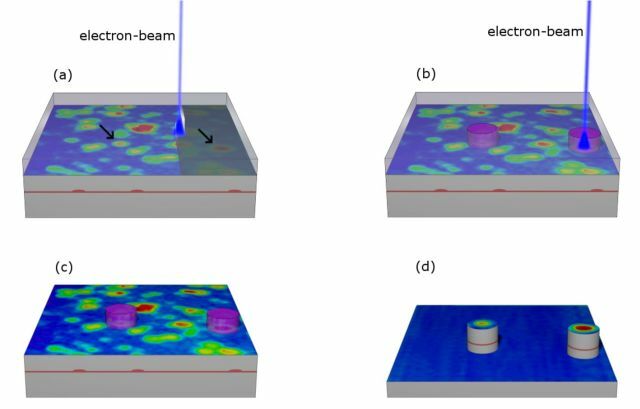 This will be done by developing deterministic and non-classical light sources using site-controlled quantum dots grown by the buried-stressor growth approach and by utilizing in-situ cathodoluminescence lithography as technology platforms. The research tasks will also include the deterministic fabrication of on-chip optical elements and circuits for highly-integrated photonic structures. German Research Foundation within the Collaborative Research Center 787 "Semiconductor Nanophotonics: Materials, Models, Devices"